The weather this weekend is beautiful. Sunny skies with warm temperatures and relatively low humidity will dominate the area. There is a moderate chance of showers and thunderstorms on Monday but after that the rest of the week looks great. Not to much to blog about. However, down in the tropics things are becoming very active. By mid next week I forecast a Hurricane to form in the Central Atlantic heading towards the Greater Antilles and then heading north. Its uncertain as to where the storm will head from there. It depends on the positioning of the Bermuda High in the Atlantic and the placement of the Midwestern trough. If it becomes a hurricane the name will be Emily. In 2005 Hurricane Emily hit Mexico as a strong Category 4 hurricane. It became the earliest record category 5 hurricane and the strongest storm ever to form in July. The name wasn't retired, for some unexplained reason which is why the storm name is in use today. There was extensive damage in the Cancun/Cozumel area's on the Yucatan Peninsula. A tornado warning is now in effect for East Hampden County in Western Massachusetts. This includes Monson, Ludlow, Wilbraham, and Chicopee. This is a radar indicated tornado. This is the same sell that dropped a tornado in New York earlier. The storm capable of producing a tornado is a supercell, but it is embedded within a larger line. A flood advisory is also in effect. The storm will take a similar track of the June 1st tornado outbreak. Sturbridge, Oxford, Charlton, Northbridge will be effected by either this cell or a squall line by 545-6 PM. Important- this is not a confirmed tornado, but damage with the storm has been widespread going back to Albany, NY. Winds are going to be strong regardless of whether or not a tornado actually touches down. The Storm Prediction Center in Norman, OK has issued a severe thunderstorm watch for this afternoon and this evening. 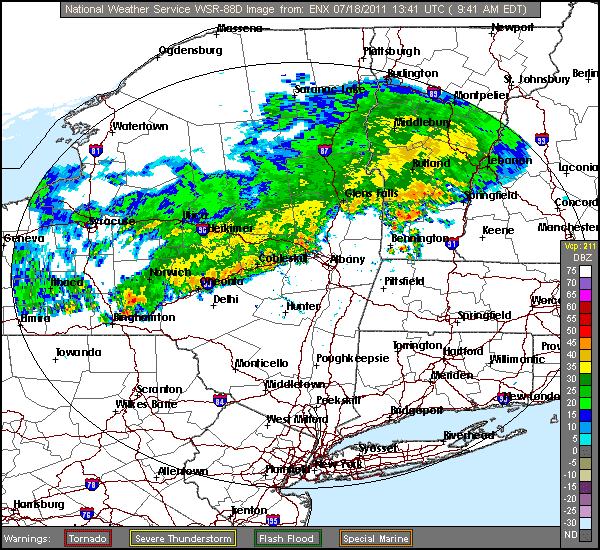 A squall line has developed in Upstate New York and is heading through the capital district of Albany. These storms have a history of producing severe hail and damaging winds. 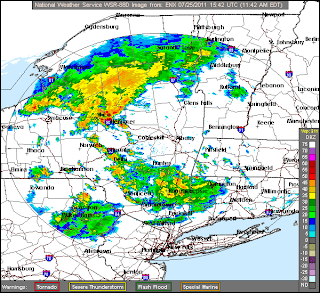 The storm system has also dropped a tornado in central New York. The greatest threat for the New England area is damaging wind and frequent lightning. Small hail is likely and moderate to large hail is possible as well. The sunshine that is abundant right now is contributing to the thunderstorm threat. The heating is creating an unstable air mass that will allow the thunderstorms to stick together as they roll into Central and Eastern Massachusetts. Looks like we may be headed for another delay tonight at the Red Sox game. Post will be updated if needed (if a Severe Thunderstorm warning is issued). A cold front will pass through the region tonight setting off showers and thunderstorms this afternoon and tonight. The first batch will move through southern MA, northern CT and RI before collapsing near the coast. A second batch early this evening may contain thunderstorms, but not of the severe variety. The second batch will spread across a bigger area so several lawns and gardens will get needed water tonight. How much will hold together? The weather Tuesday through Thursday is great. 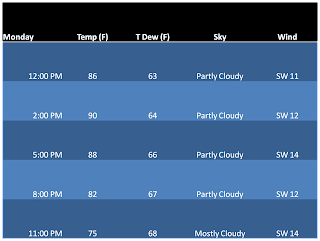 Low humidity and temperatures in the 80's. Tuesday will have a slight chance of an afternoon shower or thunderstorms, the greatest chance of these is in northern regions of New England. A warm front will pass through either later Thursday or Friday. This will bring the heat and humidity back with it, but it will be nothing like last week. Saturday will have a threat of showers and thunderstorms, but clearing for the night. Sunday looks to have fair weather. In summary, the weather is fairly quiet. More sunshine that rain, but enough rain to keep lawns green and lakes pretty full. Note- Boston tied the record for July 22 when the temperature reached 103 at Logan Airport. This is the 2nd highest temperature in recorded history in Boston. Fairly miserable weather for a July game. Highs of the mid 60's with a 50 percent chance of rain and thunder. Bring an umbrella and a jacket to the game tonight. Its almost the opposite of Friday nights game. The Royals starting pitcher has an ERA of 7.32 so if you have tickets its a good bet you'll still see some offense from the white hot Red Sox. The team is on pace to win 106 games, even with the 2-10 start. Though we approached and even exceeded 100 around the 4th of July last year, today's heat will be the highest in years. Lowell, MA is forecast to reach 103 while Boston is forecast to reach 101. High pressure is responsible for this near record heat. When high pressure is over an area the air sinks, or compresses the atmosphere to the surface. The longer the high sits, the hotter the air becomes because it cannot move. The air expands and spreads out which is why there is such widespread heat. An excessive heat warning is in effect for this afternoon. Tomorrow will also be hot, high of 98. A boundary will pass through the area and when that moves through there is a chance that thunderstorms could fire. Given the extreme heat in place it wouldn't take much of a trigger later on Saturday. Northern areas of New England are most at risk. Temperatures will return to the upper 70's early next week. I for one cannot wait. I'd rather it be -10 than 100, I don't think I could live where its hot and humid all spring and summer. Well obviously the 1930's stick out. When it comes to global warming, no one ever said the earth wasn't warming in the 1980's and 1990's (who had credibility anyway). What was debated was how unprecedented the warming was. The 1930's were incredibly hot. For example lets look at Des Moines, IA. 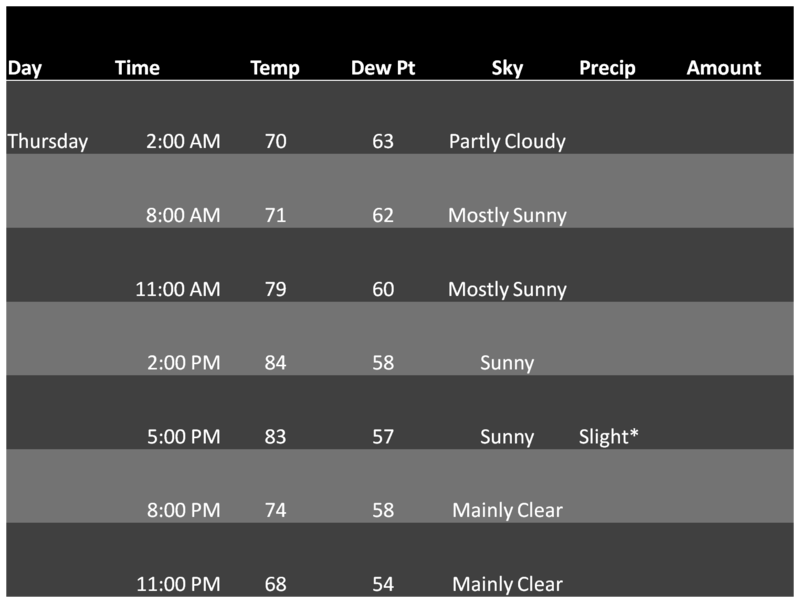 In July 1936 Des Moines went 17 straight days with temperatures over 100. 12 records from 1936 still stand. In fact, the city has set only 1 record high in July since 1955 and that was July 23, 1991. Kansas City still has 8 record highs from July 1954 alone and 15 records from the 1930's. 17 July records in Lincoln, NE are from the 1930's and 1 is from 2011. 10 days in July 1954 in Lincoln exceeded 100 degrees. So far this summer there has been 3. 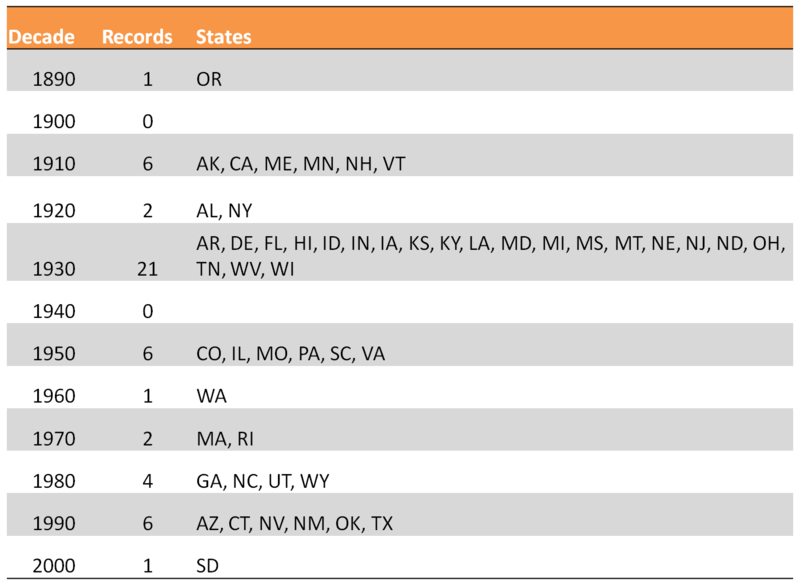 13 record highs from July 1936 in Springfield, IL are still standing. 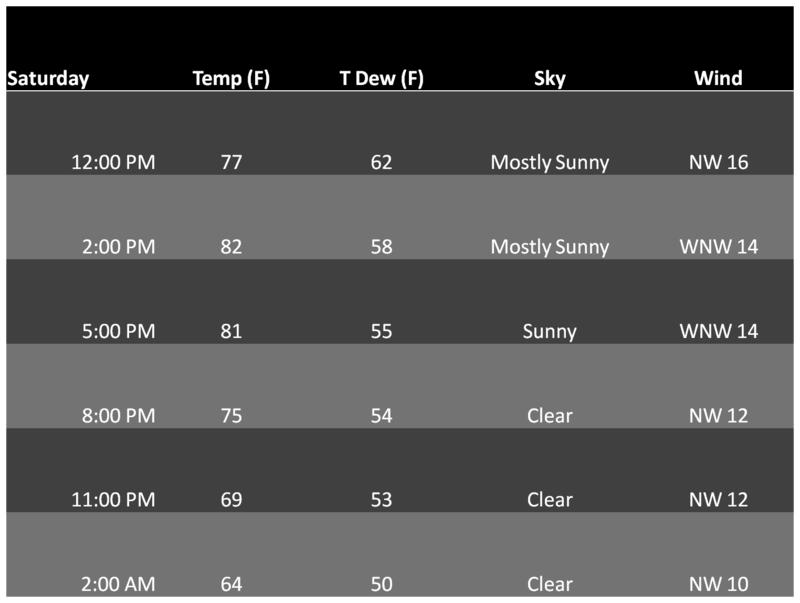 All values are taken from official National Service weather reporting stations courtesy of the history data on wunderground.com (weather underground). There are now two active Tropical Storms in the Atlantic Ocean basin. Tropical Storm Cindy has formed northeast of Bermuda. This is going nowhere but out to sea and it will not become a hurricane. Bret is weakening and it will be downgraded to tropical depression status later tonight or tomorrow. Watching Africa for tropical waves now as the atmosphere is slowly becoming more favorable for tropical development. Good morning. Day 1 of the 90 degree heat is today. Merrimack Valley watch out. The forecast high for Lowell, MA tomorrow is 99. It will feel like 107. This heat wave is responsible for 13 deaths so far (from The Weather Channel). Not to be redundant but this is killer heat, STAY HYDRATED AND COOL. Check on those vulnerable to heat. Here is my post from last night. A National Weather Service meteorologist who is a friend of mine wanted me to say don't drink alcohol, only water. Well its Thursday night and tomorrow is Friday so I'll repeat myself; drink water along with your alcohol. The tropics are beginning to heat up now. Tropical Storm Bret is hanging on despite a poor atmospheric environment around it. Horizontal winds are not allowing Bret's thunderstorm activity to co-locate over its center. Despite this thunderstorm activity blew up overnight so winds are still at 50 mph. Bret will not be around to much longer but could enhance rip currents off of the Carolina's. 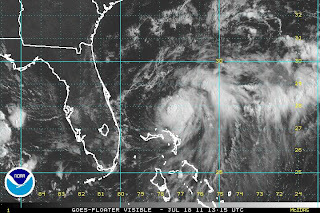 The third tropical depression of the season may be forming east of Bermuda. This will have zero affect on the United States, but as the calender turns towards August the threat of tropical cyclones will become more real. My seasonal forecast is here and I do not see any changes. The name of the next system will be Cindy. The National Weather Service in Taunton has issued an excessive heat watch for Thursday and Friday afternoons. 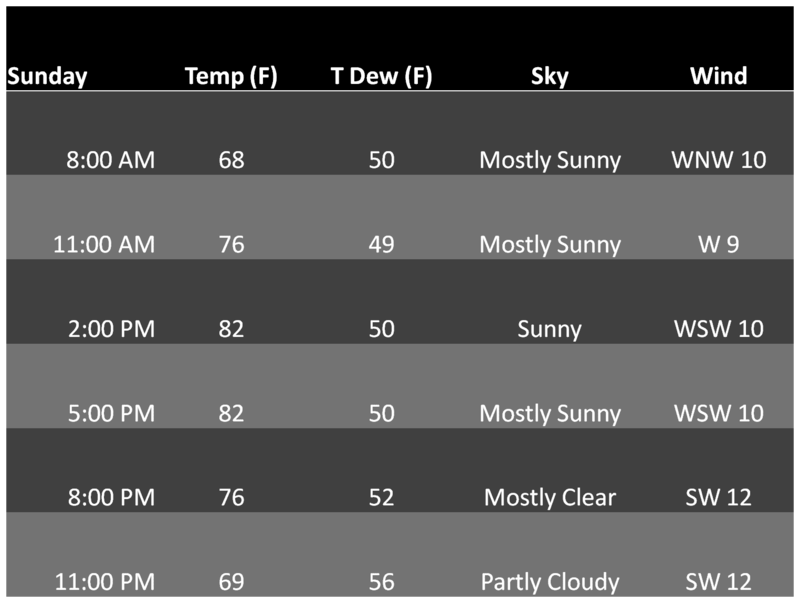 Air temperatures will be between 95-100 degrees but it will feel like its around 105. It doesn't take long to become dehydrated in these conditions. The typical advice you get when its this hot is to avoid alcohol and caffeine but given its the end of the week this isn't realistic for many who read this blog. Therefore take caution and drink water along with your adult beverages. People probably will feel more drunk than they usually would after (x) beers because of more water loss. So stay cool and stay hydrated and be careful. 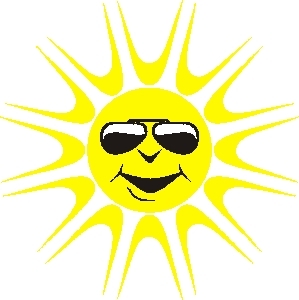 Wednesday weather is hot, sunny with a high of 90. Keep an eye on the young and elderly. A heat wave is building into New England. While many will love this, its still important to stay hydrated and to stay cool. As good as a cold beer is when its this hot, caffeine and alcohol actually make people more dehydrated in this heat. A simple solution is to just drink a water in between every few beers. Young children and the elderly are the people most affected by weather like this. 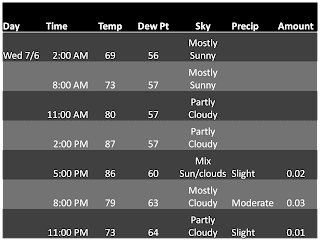 Today will not be all that humid and I don't think it will hit 90 today. However, Wednesday through Saturday (at least) will be 90 degrees plus. I do think this will be the hottest stretch of summer. In some parts of MA and CT the temperatures will approach 100 degrees on Thursday and Friday. By Thursday night the low temperatures will be in the 70's. The relief is nowhere to be found except in lakes, beaches, and pools. 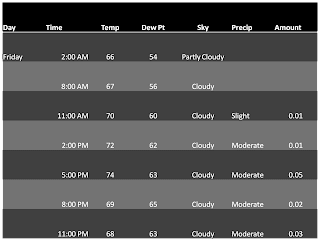 With temperatures this warm the slightest trigger will fire off thunderstorms so even though the forecast does not call for any now, this may change. 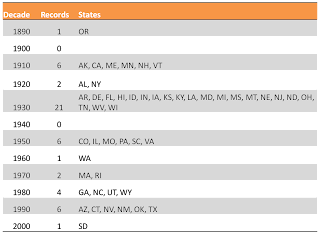 These records will be tough to break, but its possible. Stay cool. There are two things that will happen to this complex as it moves into Southern New England. It will weaken due to natural daytime decay, but more likely this line will strengthen as the heating of the day makes the atmosphere unstable in our region. As of this writing there are no severe weather watches or warnings but that will change as the day progresses. The first line of storms will begin to impact the region after noontime. The biggest threat from these thunderstorms are damaging straight line winds. Tornadoes are possible today, but because these thunderstorms are likely to form "squall lines" which usually generate damaging straight line winds and damaging hail. Flash flooding is also possible in poor drainage areas. Stay inside when these thunderstorms hit. I'll be posting updates on Facebook linking directly to the blog. In other weather news, Tropical Storm Bret has strengthened to 50 mph. It likely will strengthen to 65-70 MPH, falling just short of Hurricane strength. Bret is an interesting system. It did not develop from pure tropical origins so it isn't a signal that Hurricane season is about to ramp up. However it is a reminder that the global models do not always pick up on tropical cyclones that do not form from pure tropical origins. Joe Bastardi calls them "home brew" storms. 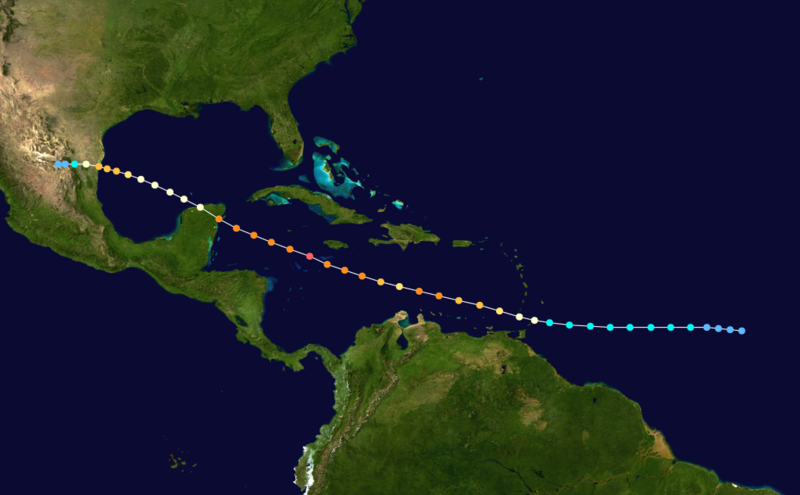 So while deep tropic formation of Hurricanes will start in August, its important to pay attention to old frontal boundary's and persistent thunderstorms. Bret will go out to sea because the frontal boundary that will produce our severe weather will capture the storm and kick it out. But a rip current risk is growing for later in the week. 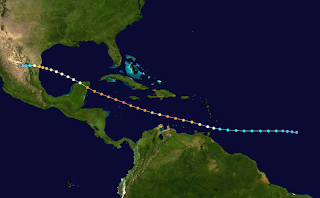 The Atlantic Ocean now has its second named tropical cyclone of the 2011 season, as Tropical Depression 2 has strengthened into Tropical Storm Brett. 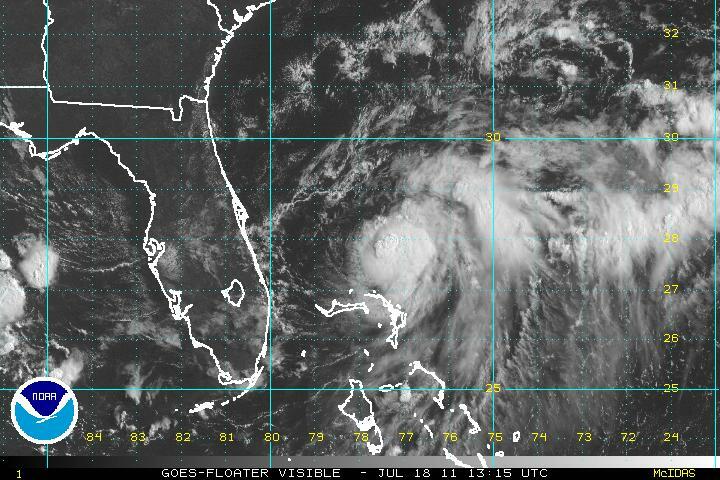 The system is off the east coast of Florida in the Northern Bahama's. Tropical Storm Watches are in effect there. The system is expected to continue to strengthen, albeit not into a hurricane. It should stay out to sea, but it could come close enough to the Carolina coast to bring unsettled weather to shoreline communities. Surf will be heavy and the rip current risk will be high. The next 3 days will be one of the best stretches of summer so far. Temperatures today will stay in the low 80's as a north wind is bringing Canadian air into our region. This wind will shift as a dominant area of high pressure moves offshore so the humidity will gradually return especially by Sunday. Sometimes I wished I lived in Arizona when you can just forecast 100 degrees and sunny...but New England is more fun overall. Only one more day of the heat and humidity before we cool off. Today will not be as warm nor as humid as yesterday. If you enjoy this type of weather don't worry, its July it will be back by the end of the weekend. The long range forecast is dry; therefore if a soaking line of thunderstorms is able to develop today it will be good for lawns, crops, lakes, etc. Also in the long range a heat wave may be setting up for early next week. An official heat wave is when temperatures rise to 90 degrees or above for 3 consecutive days. There hasn't been one yet in 2011. Dewpoints in the low 50's both tomorrow and Friday. Tropical weather is quiet for now, but it won't be long before the August ramp up in activity. The next named system will be Bret. 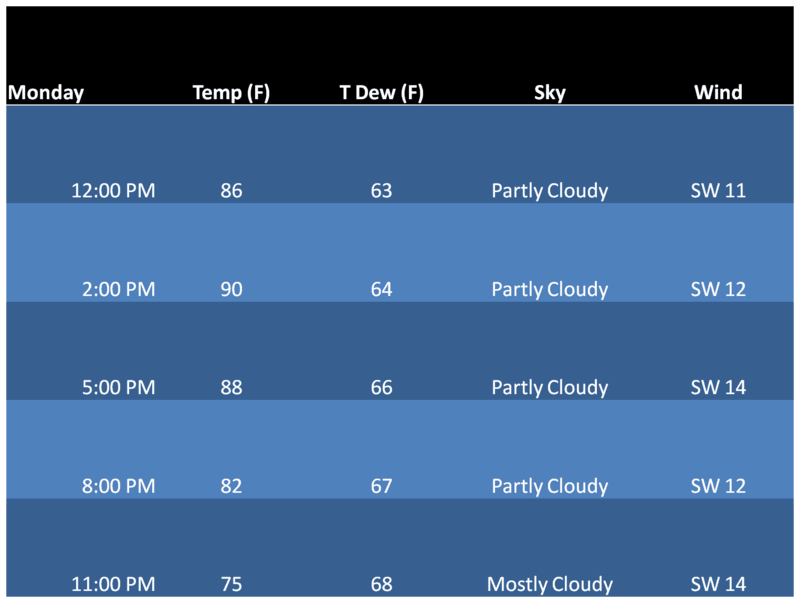 Overview- The July heat and humidity will return briefly today and tomorrow. 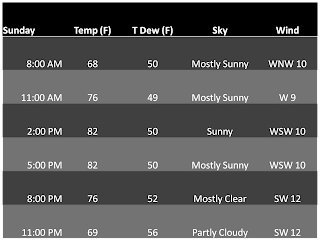 Offshore high pressure has flipped winds to the southwest increasing temperatures and dew points. Northern areas of New England could see a shower or thunderstorm today, but chances are at best 1 in 5. Tomorrow more widespread afternoon thunderstorm activity is expected. I want to take a look at the models later today before posting more specifics about how intense these storms become. The cold front finally pushed offshore today, leaving high pressure in charge and dropping dewpoints like a rock. 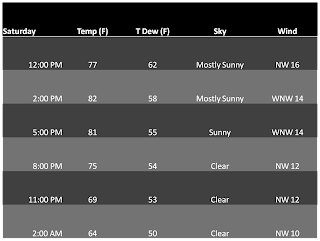 At 11 the dewpoint was 62, at noon it dropped to 58. The reason? Winds shifted around and are now blowing from the Northwest. Northwest winds drag cool dry continental air from Canada, instead of warm tropical humid air that southwest winds bring. The humidity will return (its July after all), but enjoy the break while it lasts. Northward facing beaches will be the coolest today and tomorrow, a NW wind creates a seabreeze, keeping temperatures down. Also, there is a high rip current risk due to an offshore storm. Seas will be choppy and use caution in the water. Its cruel isn't it? A break from summer's heat and humidity and the ocean decides to get rough. Showers and thunderstorms have already broken out across much of Southern New England. A storm moving into Worcester county at the moment is capable of producing small hail and gusty winds. This storm is moving towards Leicester, Spencer, Holden, Northboro, Marlboro, Shrewsbury, Grafton, and Worcester within the next half hour. Another storm is blowing up near the Mass Pike and Route 20 and is heading toward Auburn and Sutton. This cell looks like its going to combine with the first thunderstorm I talked about. Another storm is developing across Bridgeport, CT and all of these storms are moving towards the Northeast a good clip. Many other storms are popping up across New York State so this threat is not going away until later this afternoon. The weekend after this is looking positive as the coastal storm that could have been a threat will not be and the Red Sox game should be okay tonight. The rest of today's forecast here. 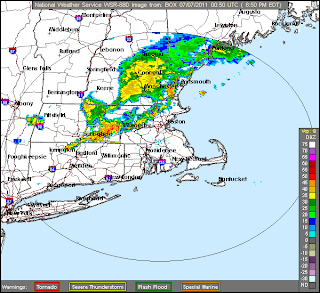 Overview: The frontal boundary that kicked off yesterday's showers and thunderstorms has passed through the region is currently draped over the Cape and South New England coast. Good thing too, as a severe thunderstorm has popped up on Long Island. 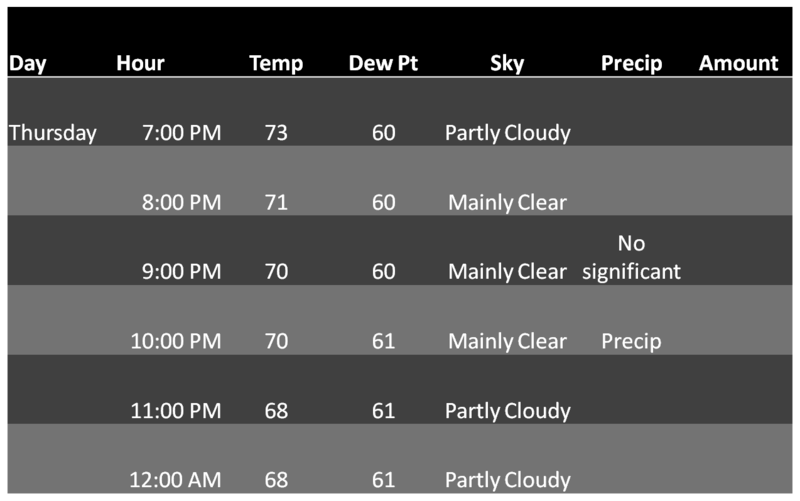 The passage allowed for a beautiful day today and tonight will be the same, although clouds will increase throughout the night. The front will remain stalled over the coast and energy will move along the boundary tomorrow, increasing chances of showers and thunderstorms for areas south of the Mass Pike around midday. More energy moves in later Friday and an ocean storm will pass offshore early Saturday. A severe thunderstorm warning has been issued for southwest/central Worcester counties as well as east central Hampden county. This storm is capable of producing winds up to 60 mph. It will probably weaken as it moves east, but rain is on the way at the very least and likely some thunder and lightning. 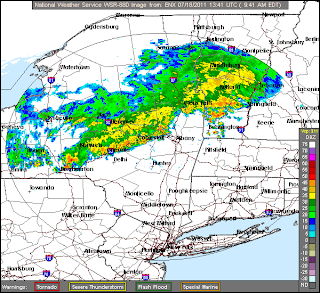 The latest radar from the National Weather Service in Taunton. The severe thunderstorm watch expires at 9 PM and the NWS will not extend it. Again, a strong thunderstorm is still likely in Southeast Worcester County in the next hour. The storm prediction center has issued a Severe Thunderstorm Watch until 930 PM tonight. Here are the areas potentially affected this afternoon and evening courtesy of SPC. There is a moderate chance of severe to potentially hurricane force wind gusts in these storms. Downburst winds and hail to 2 inches in diameter are the main threat. Downburst winds can be as devastating to an area as a small tornado. If skies darken take cover immediately. Severe weather is possible this evening, mainly between 6 pm and midnight. Here is the national outlook by the Storm Prediction Center (SPC) based out of Norman, OK (Oklahoma for you geography illiterate). The main threat will be damaging straight line winds. There is also a low chance of hail accompanied with these storms. The best chance of severe storms is northern and western New England, as you can see above. 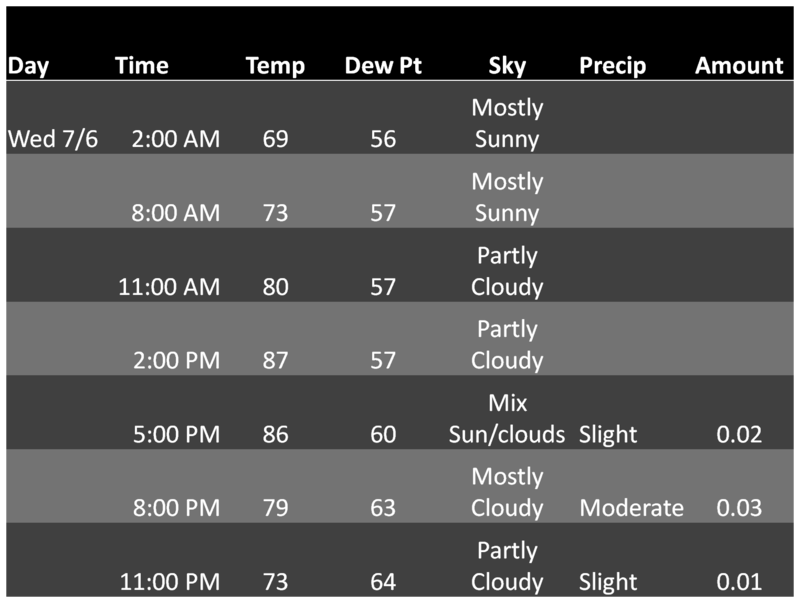 Humidity will decrease as the day goes on tomorrow. However there is a slight chance of a passing shower or thunderstorm around 5 PM. This is less than 20% but it is something to be aware of. Highs will reach 85-87 across most of the region. Thursday has a 30% chance of thunderstorms, but it will also be warm. Thursday morning will be nice, the showers and thunderstorms will hold off until late morning/early afternoon. 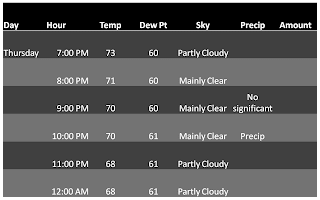 High 87, dewpoints in the mid 60's gradually falling to the low 60's and upper 50's. 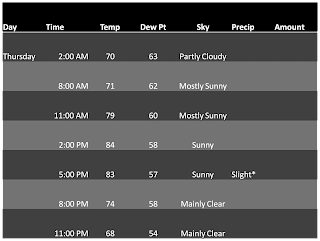 Thursday night has a slight chance of shower's, temperatures in the low 70's falling to the upper 60's in the coolest valley's. 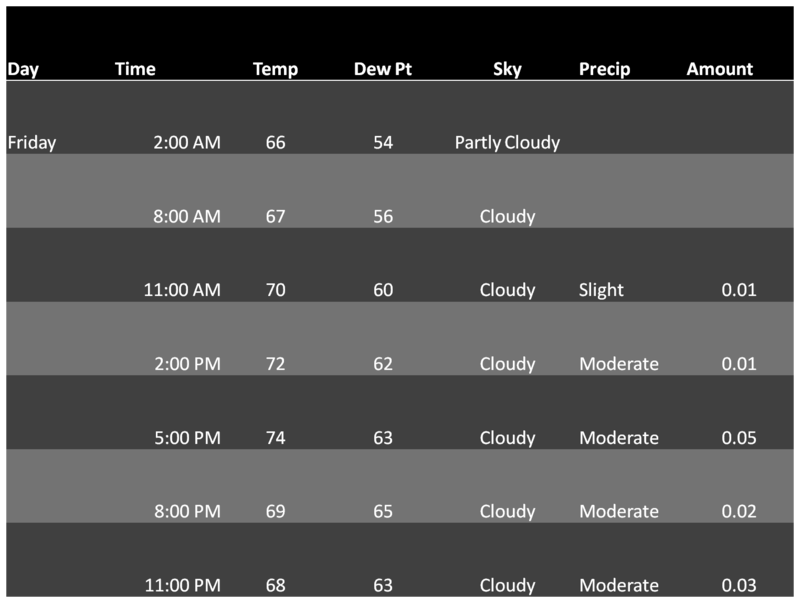 Weekend tri-hourly forecast will begin to be posted tomorrow night, starting with Thursday and Friday.